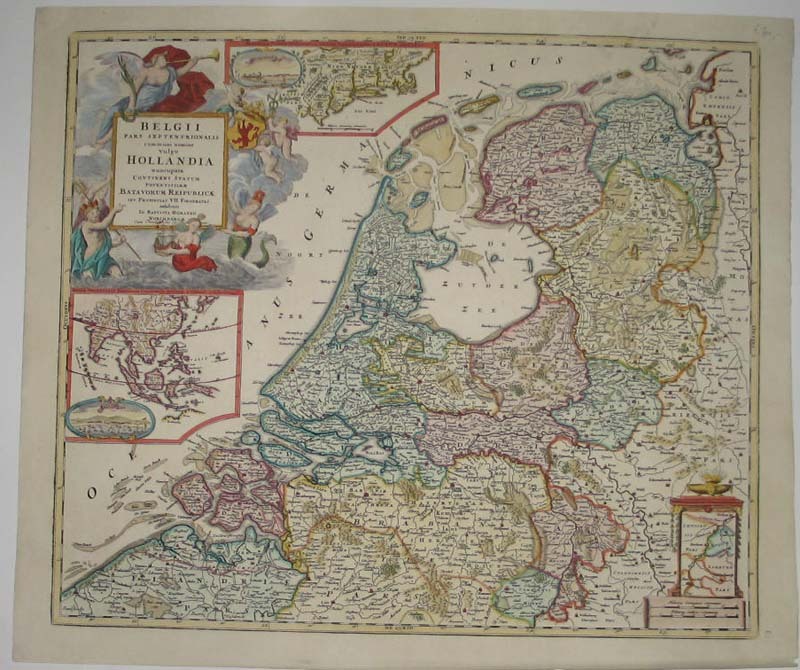 Maps Low Countries VII Provinces Belgii Pars Septentrionalis communi nomine vulgo Hollandia..
Belgii Pars Septentrionalis communi nomine vulgo Hollandia..
To the right of the cartouche is an inset map of the east coast [region state New York] of the United States of America. Left in the inset map is a view of New York [New Amsterdam]. Below the cartouche a large inset map shows east Asia with a view of Batavia. 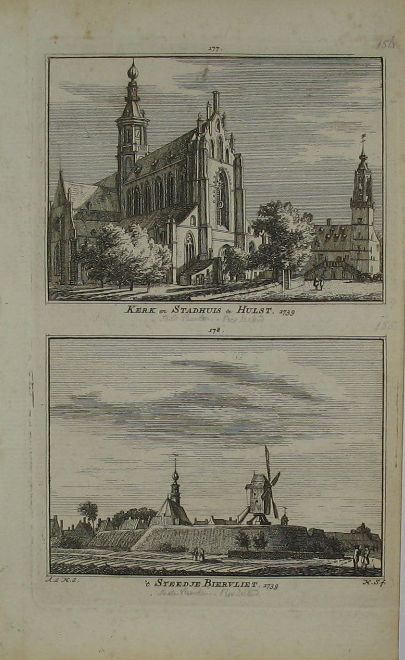 In the bottom right corner an inset map of Limburg. From : Atlas novus Tarrarum Orbis Imperia. Verso blanc.